Skiing? At School? Why Not? As well as being a great recreational activity, skiing is a serious sport, with work opportunities and gold medals for the best. It uses different techniques from ball games, but demands many of the same skills – balance, coordination, agility, strength and fitness, not to mention a disciplined attitude and mental courage. This is your entry point to school snowsport, whether your school is just starting or you have a well-established squad. Children start skiing and boarding at all ages, even university. It is an enriching experience, quite unlike other sports. 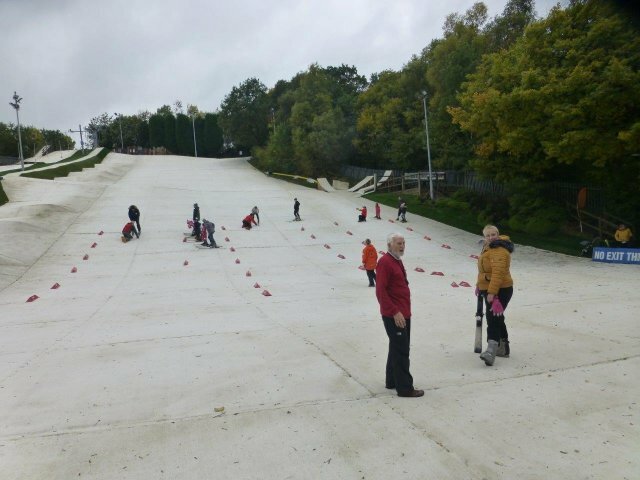 Inspired by the Sochi Olympics, the Go Ski Go Board programme has given thousands of youngsters their first taste of snowsport. Click here to get started. Beginners generally have groups lessons with an instructor while more experienced skiers can train with a SSE-licensed coach. Even a few sessions before trip to the Alps or a race will make all the difference. Schools can sign up through SSE or work with a training academy. Some slopes also offer training programmes for schools. Click here to find your nearest club, academy or training programme. Organising snowsport for your school is fun, and you can develop your leadership skills and pick up CPD points at the same time.SSE organises leadership courses (which are compulsory in some local authorities). For teachers who are more experienced on snow, you could even train as a SSE Coach or Instructor. Sign up here to join SSE. You can register free and receive the regular bulletin of information. Or, you can join SSE as a Schools Member and access the full membership services, including insurance for your entire snowsport squad.